I had intended to run the stock steel wheels on the stake truck, but was having a real hard time coming up auth a reasonable radial tire that would work on a 4″ wide rim. Sure, I could get some Coker’s, but close to $300 each was not an option. 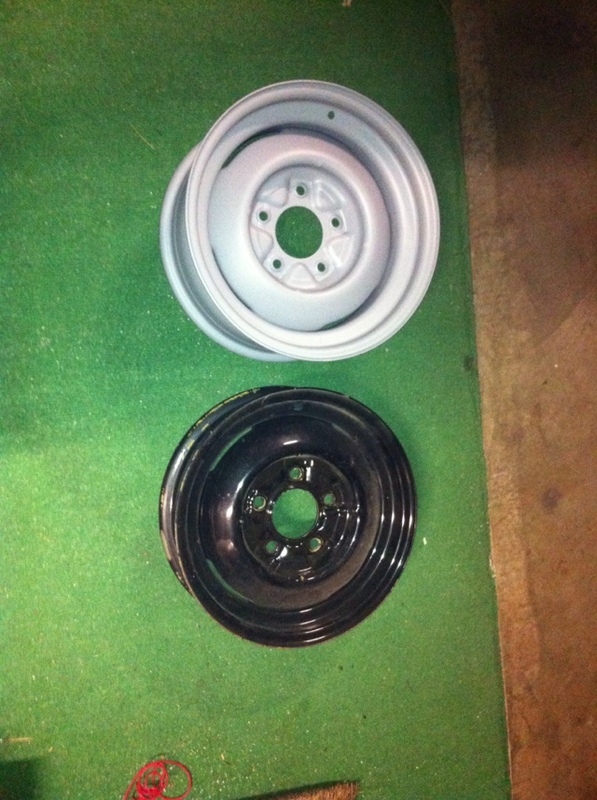 The pics here are of a stock 1940 Ford rim compared to a new Wheel Vintiques 16×7 wheel. The stocker is a 16×4. 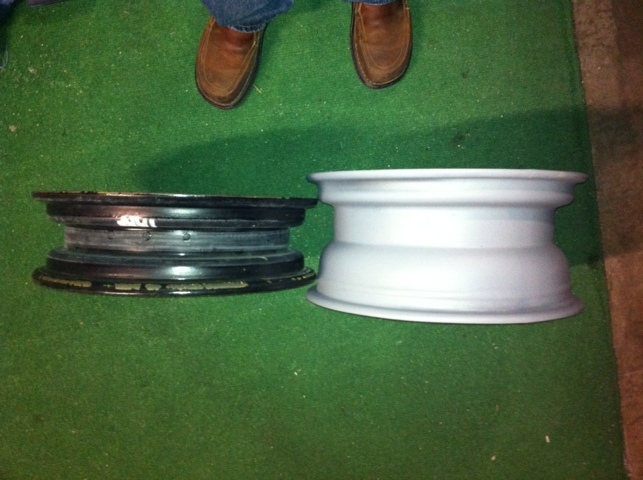 These are going to be powder coated tan and get some tall blackwall radials. I ordered some 16×6 rims for the front but was not happy with the tire selection for that size. 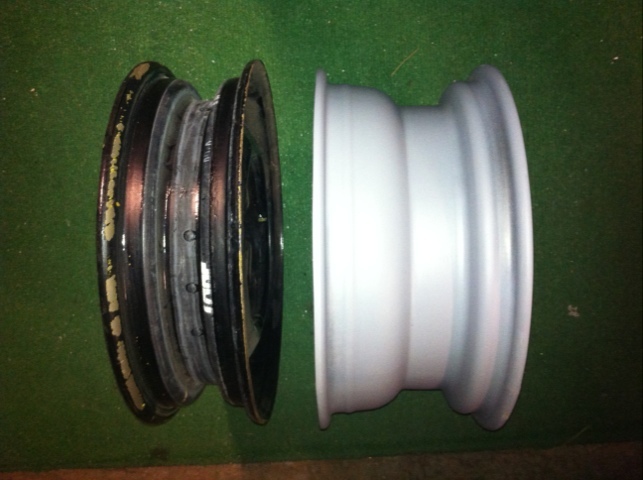 I have a set of 15×6 wheels coming that will allow a little better tire options. Not to mention that the wheels are way less expensive and so are the tires! Mostly a non-productive weekend as we couldn’t get the rear hubs off so that we could replace the wheel cylinders. Looking for the appropriate hub puller to borrow or buy. Hopefully we’ll have real progress over the next week. Supposed to be avail;able from Vintage Ford. I couldn’t find it on their site. I sued a large puller for mine.